Karkalla, 30 Jan: The right to vote is a sacred duty in democracy. It has to be cast freely without succumbing to pressure or lure for money, by making time during our daily duties by going into the polling booths without fail, said Sandeep Poojary. 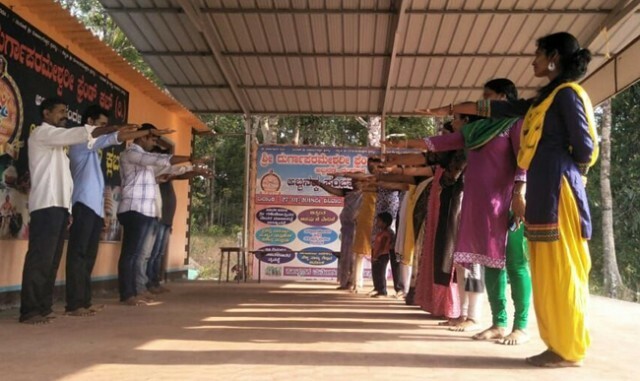 Sandeep was speaking during Voters Day celebration that was organized by Durgaparameshwari Friends Club®, Abbanadka – Nandalike, near here, on Wednesday, January 30. Durgaparameshwari Friends Club president Rajesh Kotian presided the programme. Ganeshotsav Committee president Abbanadka Satish Poojary, treasurer Abbanadka Hariprasad Acharya, women wing secretary Sandhya Shetty, Lalita Acharya, Leela Poojary, Leela Poojary, Pushpa Kulal, Arati Kumari and others were present.